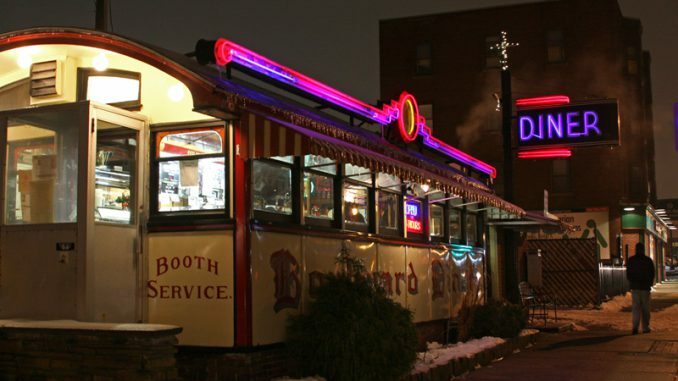 The Boulevard Diner in Worcester, Massachusetts is a quite well known member of the Worcester Lunch Car Diner family. It’s open 24 hours a day meaning, for many, it’s that “spot to go” when everything else is closed down. It’s right on Shrewsbury Street, so easy to find. And it’s lovely! I have a ton of photos of this diner but unfortunately my main PC is currently … sick … so I’ll add more in as soon as I can. I had to grab this photo from our BVAA street photography evening we did last winter. The neon on the Boulevard is just beautiful. And then we all ate there after the photography fun! The interior of the Boulevard is well cared for. There’s the row of stools against the counter and then booths against the windows. 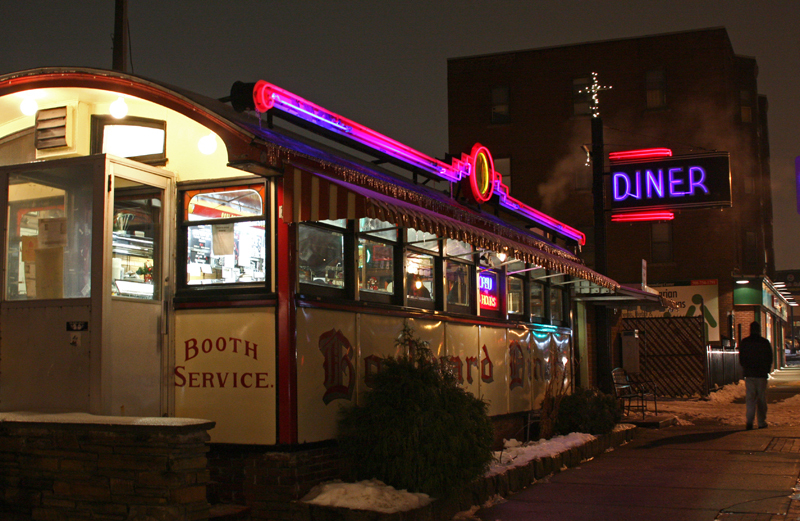 This diner was built in 1936 and is Worcester Lunch Car Diner #730. It’s National Historic Place #00001394.